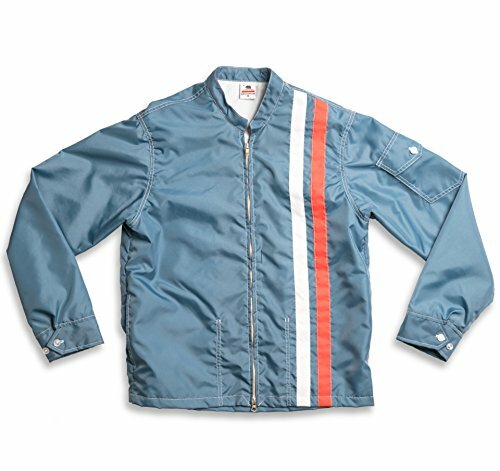 Birdwell Men's Lightweight Band Collar Nylon Jacket (Federal Blue, Large) by Birdwell Beach Britches at W Jacket Outlet. Hurry! Limited time offer. Offer valid only while supplies last. Features: Band collar. Double brass zipper enclosure. Signature Birdwell wax pocket with key loop and interior drain hole. Working buttons on cuff. Fit: Birdwell jackets are designed to be a regular fit. Order one size up if you prefer a looser fit. Fabric: Body and liner layers made of Birdwell's proprietary 2-ply SurfNyl for durability and comfort. Hand cut and sewn in Santa Ana, CA. If you have any questions about this product by Birdwell Beach Britches, contact us by completing and submitting the form below. If you are looking for a specif part number, please include it with your message.